I’ve been qualified in hypnotherapy since 2006 and have found such rewarding results for clients who need to address an aspect that is holding them back in life, often without an obvious cause. Release blocks, problems and issues which are holding you back? Improve your life, relationships and career? Bring direction and clarity into your life? Enhance your confidence, create self belief and motivation? I believe I can bring you into a state where you can access knowledge and understanding to help you to move from where you are into a more positive state of being, where harmony between your mind and body will help you to lead a positive life. My aim is to help shift your way of thinking and existing , to help you to open up to the endless possibilities of change. Just think of how you will feel when you have that clarity and understanding, release old habits, behavioural patterns, and truly see yourself and the world around you in a different way. Feel balanced, fulfilled, happier and content as you realise and believe you deserve to live the life you want. I have personal success in my own ongoing weight loss journey as I hypnotised myself into believing I have a gastric band, with my weight loss currently in the hundreds of lbs 2 years later and still going! I was truly ready mentally for this, and so, it works for me. 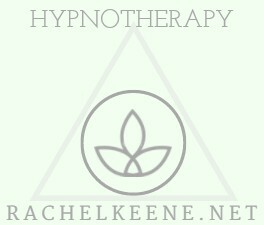 Hypnotherapy sessions are Monday to Friday between 1pm and 4pm UK time. I recommend booking a 2 hour session initially so we can really talk first to delve into where you are at. This really helps me to deliver what you need. Distance is no barrier – I can offer sessions in person here in Hertford Heath UK or wherever you are in the world via Skype. 1. Click on the Book Now button below and select Hypnotherapy 1 hour or 2 hour session from the list. You will be directed to my online calendar to book your appointment which is also confirmed by email. 3. I will contact you via email with directions and contact numbers as appropriate. Please reply to that email to inform me if you prefer to visit in person or conduct the session via Skype or telephone.